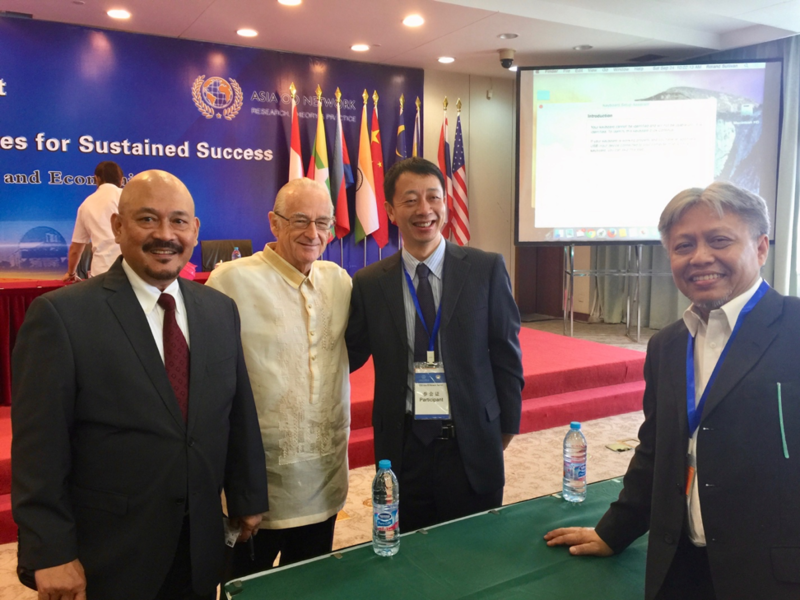 The Asia OD Network (AODN) was formed in 2006 by a group of OD scholars and practitioners based in Asia and the US, is a not-for-profit organization, officially registered in the US and in India in May and June respectively. Once upon a time, at a break from the board meeting at the HRD/OD Pareek Labs, Dr Pareek suggested to Roland that we start an OD network for India. The craft or field of OD clearly stems from the genius lineage of Kurt Lewin. We are the first authentic change agents. Dr. Pareek was the first Asian “Fellow” in the Lewin lineage from national training laboratories. We may say that for 40 years the person most responsible for bringing organization development internationally was Dr. Peter Sorensen ,OD Guru, from George Williams then Benedictine University. Roland was in the first class that the young Dr. Peterson ever taught. The textbook we used was “ The Human Side of the Enterprise “ by Douglas McGregor. Dr. Sorensen who is his mid 90s is still very active in helping PhD students become great. He still supports our Asia network. McGregor, Beckhard coined the phrase organization development in Minneapolis at General Mills while at the same time Herb Shepard named what he was doing at Esso in the East Coast of the US. Ric Abadesco, the current president of AODN brought the notion of a functional OD program from Esso, (Exxon mobile) to San Miguel in Manila. Roland first attempted to start the effort in Manila with the local AI Community. At the time Roland was a founding member of Cooperidder’s Appreciative Inquiry Consulting, Inc. Shortly there after,out of the blue Dr. Udai received a call from Dr. Mohanakrishnan from Mysore saying his students wanted to hold the next conference. Udai sent Roland & Dr Mohanakrishnan to visit Dr. Himank at his office in Infosys. The highly successful second conference was planned. Keynotes from Harvard the University of Southern California and Silicon Valley provided electric conversation. We then had a conference in China under Dr. Lee Lu‘s leadership with the strong financial support from Dr. Sorensen at Benedictine. From there we went on to conferences in Singapore, Thailand and again India, China (600 present for the keynote) and Japan. Post Japan our board lost interest and disbanded. Nothing could be seen on the horizon until one day out of the blue Lee Lu calls Roland and says I’m ready to have another AODD Summit in China. And we did. Dr. Ed Schein keynoted the China conference. His spontaneous intervention in the here and no. transformed the network. He had a heart to heart talk with the seven CEOs in the plenary. He then suggested that we have set aside our set agenda and break the conference where the CEO’s could talk about his or her needs and wants in breakout groups. The sessions were so intense that you could hear a pin drop. Such process consultation was so successful that we now have secured the rock of Gibraltar for our future. Photo 3: Entire Summit 2016 in China. From there we went on to Indonesia where we continued to have an engaging and interactive summit. Photo 6: Current President, Ric Adbesco, Roland Sullivan, Ed Schein’s colleague ( name unknown), Past President Irham Dilmy. In 2018 we return to the Philippines in the thriving OD City of Cebu. Ric Abadesco, Dr. Perla Rizalina Tayko, Dr. Bo-Peep, and Dr. Gina Hechanaova Regina are providing terrific leader ship. Therefore, come to the Philippines and let’s begin to create the new paradigm of OD for the world. Under the leadership of Professor Kumar and Dr. TV Rao, we expect a breakthrough interactive summit format. We may say that Dr. Rao is the all-time leading academicGuru for OD in Asia. Dr. Kumar now has the most vivacious organization development program in the world housed at C-Sol under the Tata Social Science Institute Banner. In 2020 we will be at Assumption University under Dr. Lee Lu's guidance and IODA 's sponsorship. In 2021 we go to Australia under the guidance of Allison Tsao and the Pepperdine alumni. 2022 will be our Fourth Summit in China. Dr. Lee Lu and Xiaohui Wang will lead the effort. When Peter Block key noted the most recent Summit he told us that the Western theory and practice of OD is no longer relevant. Instead he is challenging the region of Asia to come up with the new global framework of theory and practice! He says that the Western egocentric (I,I,I) focus on “what is in it for me” is no longer relevant to the fast changing world of exponential change. He believes that the Asian way of life where “ we, we, we,” along with a focus on relationships, the family and social justice is paramount. He says we need to create the new theory and practice out of the values of the East as we keep fundamental philosophies from the West. Our mission is to create and provide an environment that continuously fuels the passion and search for excellence in Organization Development. We want to provide a venue for all OD professionals to network with each other and to share knowledge and best practices with special emphasis on the unique needs of the dynamic Asian region. To co-create conceptual and theoretical frameworks for OD those are relevant to the emerging economic, social, cultural and technological contexts in the Asian region. To promote OD and Institutional Building practice among all sectors of society. Join us. Get up to speed or you will it be left behind with no job. The cloud will take over all routine OD, training & traditional HR personal & HRD work. Any job that can be described will be mastered by the cloud. The new world of OD has humanity over technology and is based on human competence such as compassion, imagination, innovation, relationship and trust etc. Such practitioners will be paid highly. During years we organized several successfull summits, see the details of these events.